A momentous digital transformation is underway as distribution utilities fight for a place in the new energy world. Traditional business models are disrupted and utilities must digitize to tackle major challenges like the introduction of distributed energy resources (DERs) to the grid, the exponential increase in distributed generation, and sustained innovation to develop microgrids. Data is at the heart of utilities’ digital transformation. It’s the central component because the new technologies that are being implemented throughout the utility have created a deluge of critical data. Simply collecting the data isn’t the objective, though. Utilities need to utilize advanced analytics to make the information meaningful and maximize the value of the information. This analysis is crucial because utilities use the findings to make decisions that affect the full range of operations, from utility asset management to grid management to future grid orchestration. Here’s a look at four areas where distribution utilities are getting a big boost from technologies’ data capabilities. Smart grid advancements — Power grids around the world are being modernized into intelligent electricity grids with digital communication technologies that track, evaluate, predict and optimize electricity generation, distribution, and consumption. Smart grids generate unprecedented amounts of data that, when analyzed, provide real-time insight into the grid’s performance, for improved situational awareness, increased network resiliency, improved safety, by identifying and detecting faults, while promoting better efficiency. DER management — Data can be analyzed to determine how best to balance today’s distributed grids’ more volatile supply and demand and ensure effective operations. It also allows utilities to maximize both Capex and Opex by predicting and analyzing needs and ensure they’re optimizing their energy mix. Smart metering — Smart meters’ use extends far beyond helping customers understand and reduce their energy bill through more strategic energy consumption. Using the data smart meters collect, utilities can take advantage of the meters’ bidirectional communication to cut back on manual readings, improve outage management, forecast consumers’ energy use to better balance supply and demand, reduce theft, and improve Volt/VAR control. Data-driven asset strategies — Analytics can translate the raw data into valuable information that allows utilities to make better operational decisions about their costly infrastructures like smarter investment planning for the future and more efficient regular maintenance operations. And that’s just the tip of the iceberg. 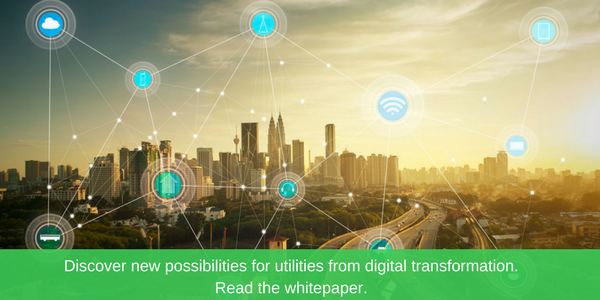 As utilities continue to digitize, the amount of data being produced will increase exponentially, and the insightful benefits gained will grow as well.